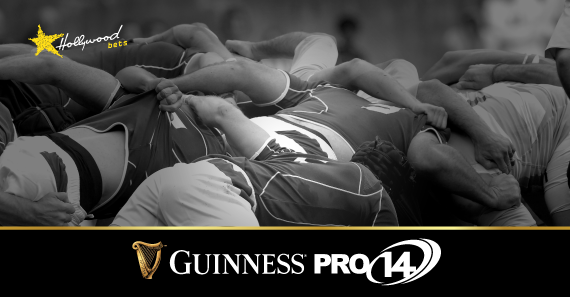 The second round of Pro14 action gets underway on Friday the 7th of September. We preview all the games, below. It was quite the start to the Pro14 last week with some massive upsets, dramatic late drop goals, and Lazarus like come from behind victories all occurring. Hopefully, we'll be in for more of the same when the tournament enters its second week. Ulster will be looking to build on their round one 15-13 victory over the Scarlets when they take on a much-improved Edinburgh outfit this coming weekend. The visitors may have not managed to open their campaign with a win but they did put up an almighty fight out in Swansea where they went down by just four points to the Ospreys. When these two sides met at the Kingspan last season it was the visitors who emerged as narrow one-point victors. I'm predicting a very similar result here with the Scottish outfit sneaking another win in Ulster. The Glasgow Warriors and Munster clash in the second of Friday night's fixtures. The hosts head into this one off the back of a last-gasp away victory over Connacht, while Munster make the trip having hammered the Cheetahs 38-0. The Warriors will need to be far more clinical if they are to bag a win over Munster here. The visitors were in great touch last week while the only reason the hosts were able to get one over Connacht was that of the solo exploits of Scottish fullback, Stuart Hogg. The Irish Province will get a few layers back this week and I can see that spurring them onto successive victories. Two sides who suffered defeat to Italian opposition last weekend will square off at Rodney Parade this coming Saturday. The Dragons were absolutely humbled at home by minnows Bennetton by four points. The Kings were also given a lesson by an Italian outfit. And their 34-16 defeat was always on the cards, it did illustrate that the Kings are in for yet another tough year on the road. I'm expecting a much-improved showing from the Dragons here. And with the Kings likely to adapt to the conditions in Wales, I can see the hosts taking this one by more than 18 points. Connacht will be looking to put the disappointment of last week's dramatic defeat to Ulster behind them when they square off with what will be a buoyant Zebre outfit. The hosts were so unlucky last week as a last-gasp drop goal from Warriors fullback, Stuart Hogg, forced them to settle for a 26-27 defeat. Zebre got their 2018/18 campaign underway in much better fashion as they managed to claim a try-scoring bonus point from their 34-16 victory over the hapless Kings. I think large swathes of this game will be competitive but Connacht's class should see them accelerate away during the final quarter. My money is on the hosts taking it by 10 points or more. The Ospreys will be looking to make it two wins from two starts when they take on a Cheetahs side that was hammered 38-0 by Munster last week. The hosts put in a solid enough shift against Edinburgh in Round 1 but they will need to up their attacking game if they are to challenge for this year's playoff berths. The Cheetahs, on the other hand, will need to overhaul their whole system if they are to avoid getting hammered week in and week out on the road. I suspect the Cheetahs are in for an almighty long tour with their new look squad struggling to adapt to the brutal nature of European Rugby. My money is on Ospreys furthering the men from Bloemfontein's woes by winning this one by 12 points or more. We have a repeat of last season's final up next with the Scarlets and Leinster locking horns. Last year's grand final was an absolute cracker with Leinster running out 40-32 victors in a high-scoring affair. This weekend's visitors fielded a rather weak team last week but managed to register a come from behind 32-33 win over the Cardiff Blues. Scarlets didn't fare as well in the opening round as they went down 15-13 to Ulster. They may still be without a few of their heavy-hitters but I still feel the reigning champions will get one over Scarlets, again. Italian club Treviso will be looking to build on their four-point away victory over the Dragons when they take on yet another Welsh side in the form of the Cardiff Blues. The visitors opened up their 2017/18 campaign in rather disappointing fashion as they let a late lead slip against a severely depleted Leinster outfit. Both teams take rather conservative approaches to games with Treviso looking to muscle the ball up with their pack, while Cardiff defend until they can force a turnover and hit teams on the counter. This should be a rather low-scoring game but one in which I can see Cardiff coming out on top in.